Many of us sell things we no longer need – and some create entire online businesses as a result. 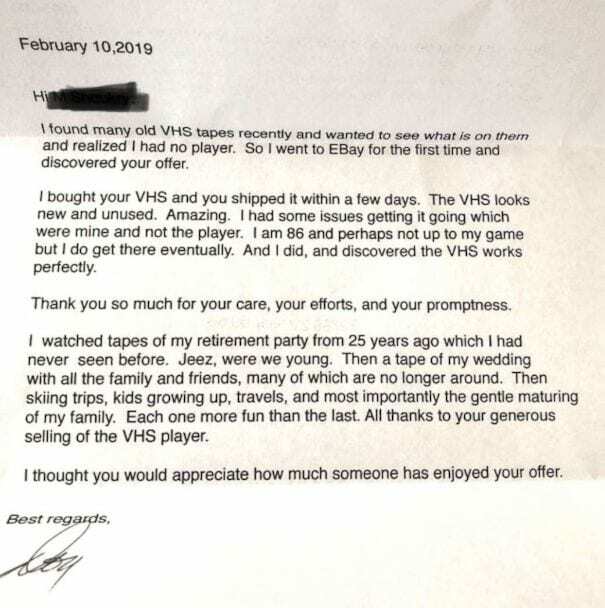 However, one man was about to get a letter he never expected to receive thanks to selling his VCR online. One man knew there was a market waiting for him online: selling VCRs. 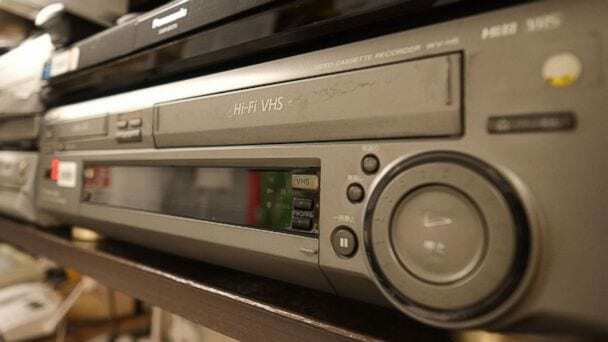 Many of us still hold onto VCR tapes, but they can often be hard to watch as DVDs and filming from our phones have both taken over the world. However, one man was so pleased with his parcel that he needed to thank the seller. It turned out one of his customers was an 86-year-old man. It was his first time buying something from the online auction site, eBay, and he wanted to thank the seller for the VCR personally. The player meant more to him than anyone ever imagined. The man had uncovered many VCR tapes but had no way to play them. The package soon arrived, and he had to figure out how to set up his new player. Thankfully, it wasn’t long before it was all up and running, and he could finally watch the tapes that had kept him wondering for so long. The tapes contained all kinds of memories that he had forgotten. One was footage of his retirement from 25 years ago that he had never seen. Another? This was his wedding day that brought many past friends and family memories. Plus, there were a collection of old home videos featuring his children’s vacations and travels. They were perfect. The man was so grateful to be able to watch his memories once again finally. They had been hiding for so long, and now they were playing before his very eyes. That’s not all. The eBay seller wanted to help in any way that he could and now plans on writing back offering to help digitize the videos for the grateful buyer. The seller was doing his job when he packed up the VCR, but he never knew the impact his package would have on this man’s life. Thankfully, one small purchase was about to bring years of memories back to life at last in the best way possible.